Because of a state-mandated waiting period, the system’s governing board must leave 21-days between naming finalists for the chancellor job and appointing their pick. The window to do that before McRaven departs seemed to have closed Friday. 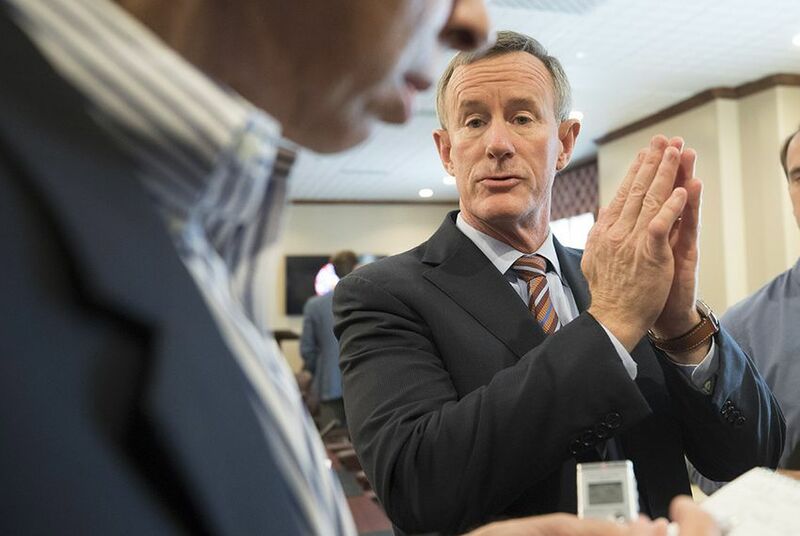 The outgoing chancellor of the University of Texas System, Bill McRaven, said last year he would step down in May. But there likely won't be a permanent successor ready to take his place by the month's end. Because of a state-mandated waiting period, the system’s governing board must leave 21 days between naming finalists for the chancellor job and appointing their final pick — and the window to name someone before McRaven departs on May 31 seems to have closed. Though McRaven announced his intention to leave last year, the UT System Board of Regents may have to name an interim chancellor, leave the position vacant temporarily or appoint at least one finalist to be confirmed after McRaven steps down. Randa Safady, a spokesperson for the system, declined to comment on the board's plans. "The Chancellor search committee work is proceeding quietly and effectively under a process designed to protect the names of applicants and nominees, as required by law," she said. The statute says the system’s governing board must give public notice at least 21 days before a “meeting at which final action or vote is to be taken on the employment of the person.” The names of the applicants — and other identifying information — can also be kept confidential, under state law. The board's next regular meeting is scheduled for July, but members could call a special meeting before then — a possibility board chairman Sara Martinez Tucker hinted at earlier this month. "This is not our last board meeting before the end of May, but it is our last in-person board meeting," she said, at a May 1 meeting. The search for a new chancellor began soon after McRaven announced in December that he'd step down at the end of the school year. It has been overseen by a committee of five current and former regents, who in February hired executive recruiting firm Russell Reynolds Associates to help collate names. The different backgrounds of the rumored contenders mirrors a debate among members, current and former, of the system's governing board about what the role of the system should be. A separate task force of regents is currently evaluating the system’s scope and spending, and may suggest it slim down and redirect its focus on the institutions it oversees. McRaven cited health reasons — and a desire to pursue teaching and other activities — when he announced he'd step down after a three-and-half year tenure atop the UT System, which enrolls more than 213,000 students across its network of eight academic colleges and six health institutions. McRaven, who's best known for masterminding the raid that killed Osama bin Laden in 2011, is expected to take a position at the University of Texas at Austin’s Lyndon B. Johnson School of Public Affairs. At the board meeting on May 1, McRaven said serving as chancellor was the "honor of my lifetime" and that after three-and-a-half years, "my faith in Texas and the University of Texas System is stronger today than ever before." While "I have not always agreed with every decision, with every regent, I never once – not once – doubted your loyalty to UT nor your desire to make our universities and our health care institutions better," he said. An endowment made in the names of McRaven and his wife, Georgeann, has received more than $1 million in donations, which will be for the use of future chancellors. As chancellor, McRaven’s successor will preside over a system with an annual operating budget of more than $18 billion, an investment portfolio worth roughly $43 billion — and all the political and financial pressures that come with leading a major university system.